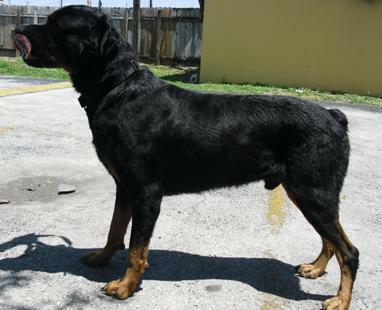 ANDY is a very young and loving Rottweiler that was found by an Officer of the Pembroke Pines Police Dept. Officer Andrew Zellman found him so sweet and friendly that he did not want to call AC, instead took him to the Police Station as he remembers that GGARR took Lucas in August 2012 also from them. He decided to call Yoly again. 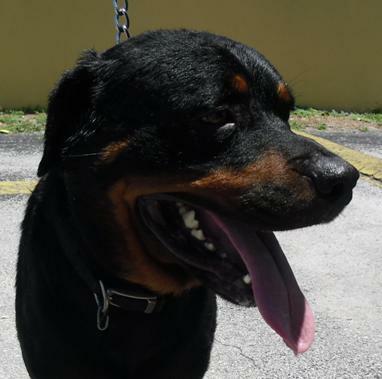 Yoly went to the Police Station and met with Officer Zellman and a very young, pretty and loving Rottweiler that Yoly named ANDY. Next morning Officer Zellman took Andy to Mueller Animal Hospital. He was COVERED WITH TICKS. It was awful. 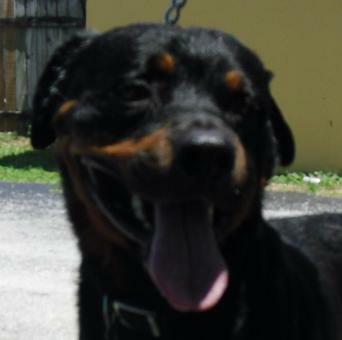 Neutered, fully vaccinated, tested for heart worms and negative and also Microchip. 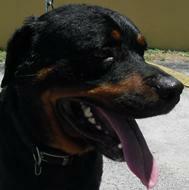 Now Andy is looking for a new Forever Home that takes better care of him.